Maybe your travel dream isn't quite as big as travelling the world? The two are part of the Van-Life community and their channel covers both the highs and challenges that face people living in a van. It's a great resource with everything from converting a van, easy recipes, starting a YouTube channel, earning income and more. Personally, I feel van-life is probably the most achievable of full time travel options where you're living and working on the go. Sail Away on a Yacht. If boats are more your thing and you do want the option of sailing around the world you can get started with no experience at all, as Australian couple Riley and Elayna did back in 2014. Four years later they're still going strong, vlogging their adventures and providing tips and advice for anyone who may want to live the dream too. New episode up guys. Check it out. If you visit their website's About Us page there's a link to a very detailed description of how much everything costs and how they afford their life now. At a glance it seems a little more pricey to get started than van-life but certainly not beyond any average person's reach. Flying the globe in your own plane probably seems even more insurmountable than sailing on a yacht but it can be done. In 2014 Matt Guthmiller circumnavigated the entire globe, solo, in his own small plane, at age 19, becoming the youngest person ever to do so. Sure flying a plane takes a little more time to learn but Matt's first solo flight was at age 16... which basically means if a kid can do it... you can too. Louis Cole is another travel vlogger who with his friend and pilot, Juan-Peter Schulze, flew their small plane to 22 countries. Their trip was funded by a Kickstarter campaign with the purpose of creating a feature length documentary of their adventure intended to drive influential change in the world through understanding of different cultures. Even if actually flying a plane seems beyond your skill set you can still travel frequently and cheaply by air through 'travel hacking', the process of taking advantage of frequent flier miles, airline, hotel and credit card discounts and more to reduce the cost of travel. Chris Guillebeau famously travelled to every country in the world through travel hacking and literally wrote the book (well guides) on the subject, inspiring many people to travel more frequently than they thought possible. 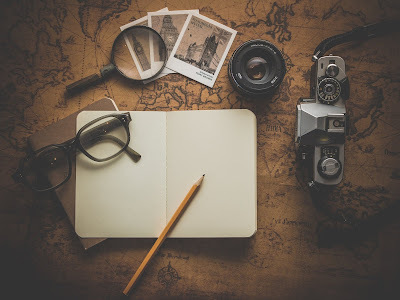 Chris' website features a whole section on the latest travel hacks and he also has a whole other website on starting your own Side-Hustle if you need something to help fund your travel adventures that won't tie you to a single location. As you can see the path to full time travel adventure is not as impossible as you might think. It really is being brave enough to take that first step and just start the journey. Oh, and if you think you can't just because you have a family there's The Bucket List Family to show you otherwise. They have two very young kids and travel full time, vlogging their adventures. Really nice site here TET! I love Riley and Elayna. I have watched them from their start and watched them learn and grow together. They even have a baby on the way now. Very inspiring site TET!